Barrel Electroplating ⋆ Matthew's Plating, Inc.
For over 60 years Matthews Plating has been a leader in the Jackson, Michigan Industrial complex. Our barrel plating method involves the use of an industrial container to turn large workloads. This receptacle, or “barrel,” is submerged in a variety of different chemical baths. This causes ions in the electroplating solution to attach themselves to the surface of objects in the barrel. Barrel plating is best used for larger workloads containing small and durable parts. 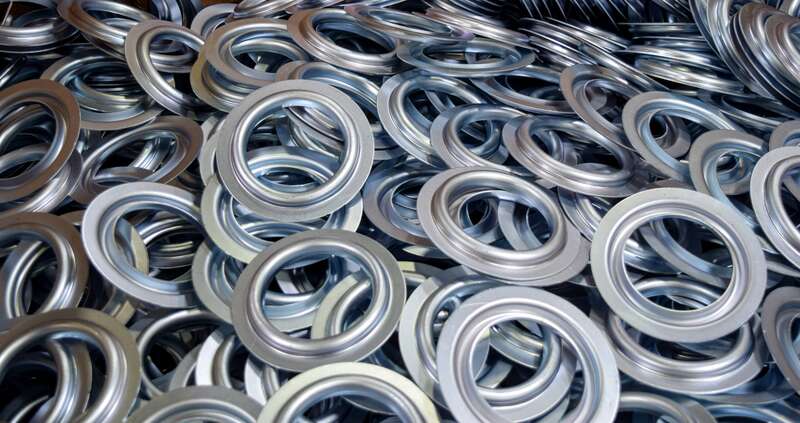 Because the parts are all tumbled in the same container for the entire process, rugged parts are more suitable. Barrel plating is typically less labor intensive creating higher levels of efficiency. From the cascading motion of the barrel plating method, a more even coating upon the substrate is the result.